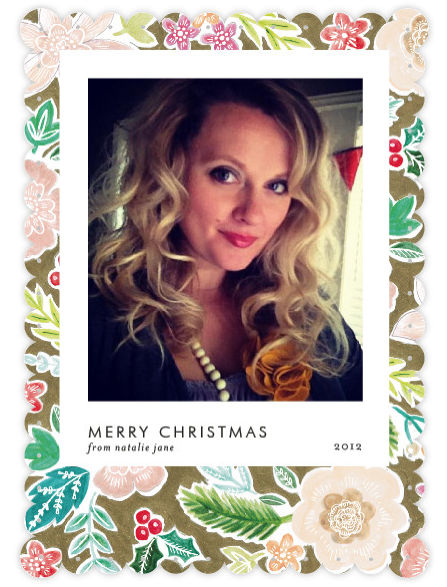 natalie's sentiments: Minted Holiday Card Giveaway! I'm back from our vacation and I'm so insanely excited because we got our family photos taken while we were there. You know what that means! 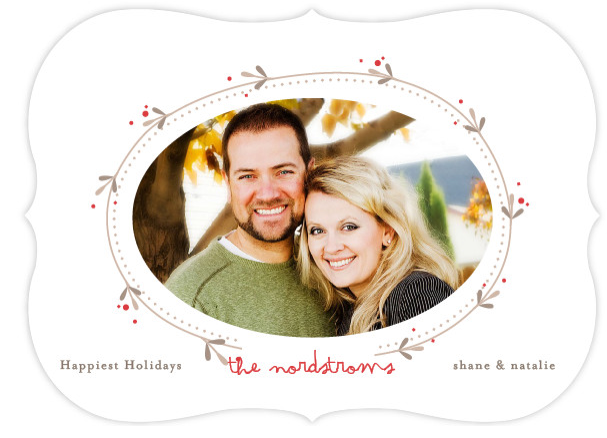 I'm ordering my Minted Holiday cards this week!!!!!! I love love love sending and receiving Christmas cards. I have this dream that I will have a beautiful book with years of our families Christmas cards all together. So you know I spend a lot of time making them perfect. Which is why I always order mine from Minted. These were my cards last year. (well, kind of. The designer made sure the photo colors matched better. But this was how it looked when I sent it in.) Christmas Plaid Holiday cards was exactly the design I was looking for to go with my Christmas jammie photo shot. But I changed up my old card with something NEW offered this year.....SHAPED CARDS!!!!! Most cards have different shape options for your cards. What a fantastic way to make your cards really stand out. As always, there are tons of "backer" options. From a cool design, to photos and a little note. Oh, and don't forget the "Skinny-wrap" address labels. Now I have to figure out what I want this year! Here's some of cards I'm choosing between. Used some older photos to try them out. 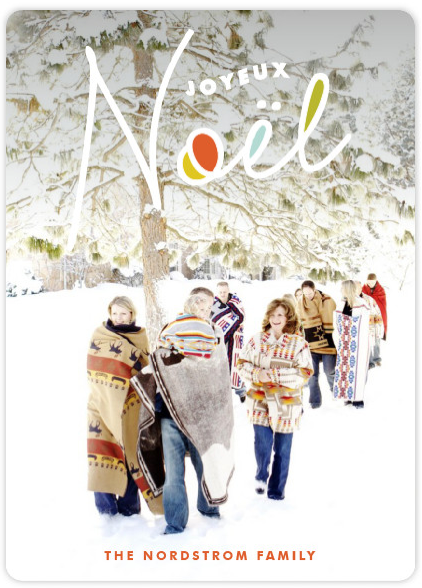 Liking the yellow on the Type Frost Holiday card. Like most of the cards, there are several different color choices, so you can match it just the way you'd like. 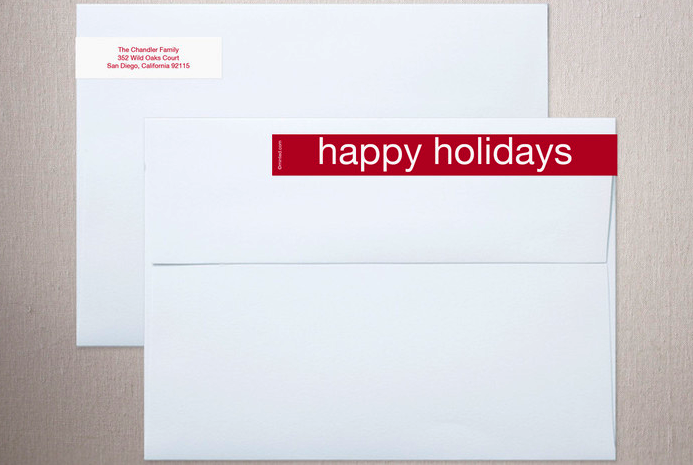 Merry Modern Holiday cards have such a cool feel to them. Add any photo and there are several tints to choose from. Great way to use a "non-professional" photo. Vine and Berry might be my very favorite of the bunch. So adorable. And that font! Who says you need kids to send out family photo cards? Hey! Who says you even need a husband? Send out a photo card just from you! Patterned Snapshot with scalloped edge. Who said you even need a photo! Lots of great non-photo cards to choose from. 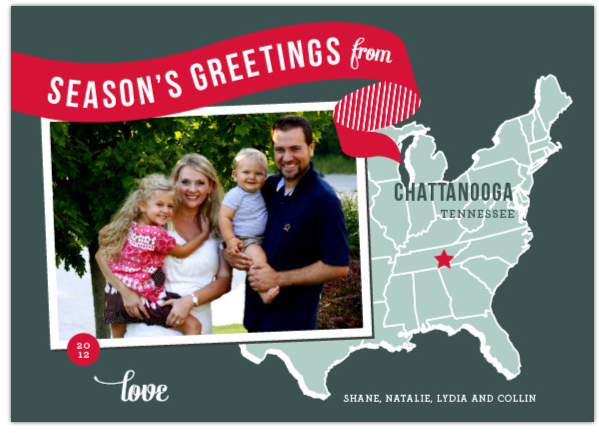 I would have loved to send these East Coast Holiday cards when we lived in Tennessee. This is my favorite Christmas photo of my family. It's so beautiful, it really only needs a little help to make it perfect. 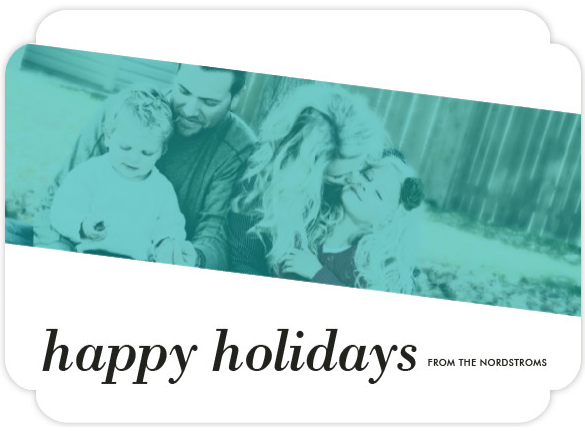 A New Noel Holiday Card. 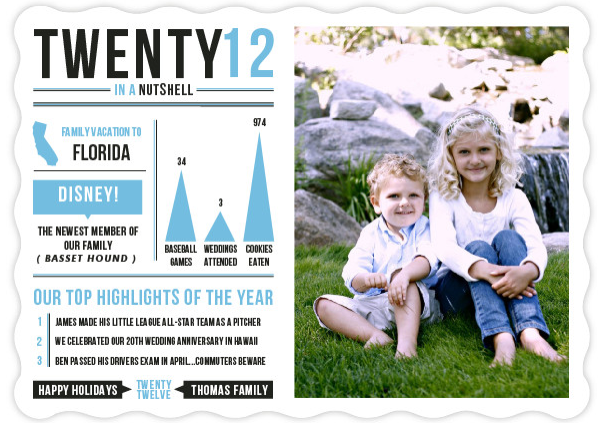 Year in a Nutshell - family newsletter and card in one! And check out the cool shape of the card. 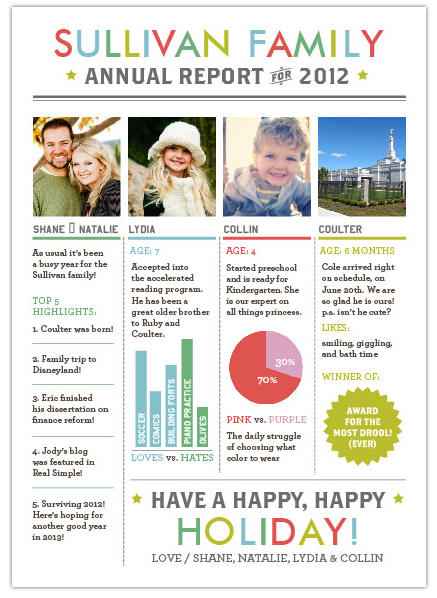 Or try the annual report card! You don't even need a great family photo for this one. Just one shot of each family member and you're set. 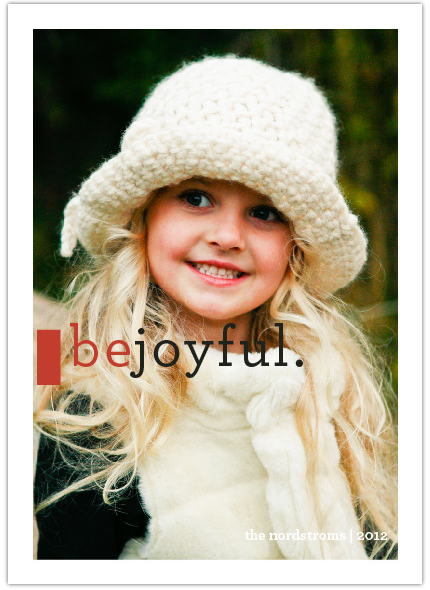 Or something perfectly simple, like this Be Joyful holiday card. Because sometimes, the photo says it all. You can see why I'm having a hard time choosing. But I don't want you to pick one for me, I want you to pick one for you! 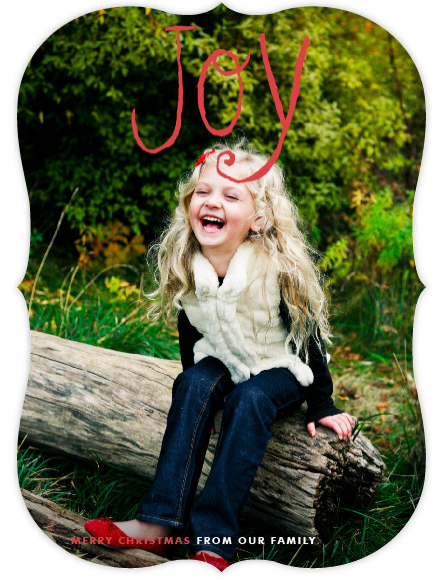 One natalie's sentiments reader will be receiving 50 flat Minted Holiday Cards!!!! To enter, head over to Minted and pick the card you love most! Extra entry if you're a natalie's sentiments follower and let me know in a separate comment. Extra entry if you're a natalie's sentiments facebook fan and let me know in a separate comment. A gorgeous Temple print from LDS Wall art. Loving the pride and joy holiday photo card. Love to win this one :) My favorite one is Snow Flurry. I would love the East Coast Holiday Card. It would be perfect! My favorite card was the simple merry holiday photo card. all so pretty! but I really fell in love with ribbon noel holiday photo card. thanks!! funny, i was just browsing there last night and had my eye on the merry snowflakes card. also love the shaped option. such cuteness! I like the Pastoral Noel and Merry Typography, it would be hard to pick between the two. I am a fan of Natalie's Sentiments on Facebook. AMAZING stuff!!! I LOVE these cards....and for my family I think this year I would go with Christmas Ribbon, Frosted Watercolor, Let It Snow, All Is Merry & Bright, Our Snowflake Joy, Fresh Flurries, Merry & Bright, .....wow, TOO many to narrow down to one right now. Thanks for a great giveaway! I'm obsessed with maps, so I LOVE those East Coast Holiday Cards! I LOVE the Annual Report Holiday Photo Cards!! Such a great idea! Oh my goodness what a beautiful family you have! I loved seeing your pictures on the different designs! 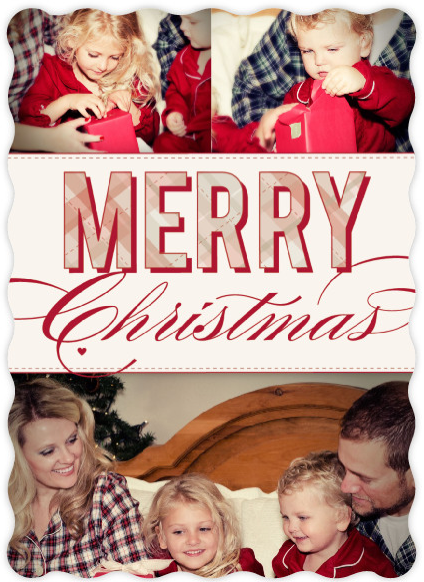 My favorite card at Minted is the Snow Flurry Christmas Photo Cards! 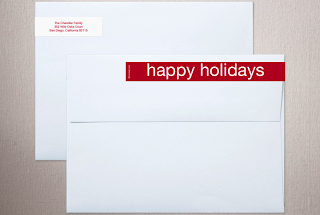 I love the simplicity of the Rejoice Holiday postcard! I love the East Coast holiday card! Natalie's Sentiments follower, right here! I love your blog!!! I check everyday to read the updates!!! I also started following your FB page too! I like the merry and bright sparkles holiday photo cards. I subscribe to Natalie's Sentiments via email. I like Natalie's Sentiments on FB. I really like the one with the map. Might have to get that one even if I don't win! Oh pick me pick me! I want the annual report cards so bad it hurts! Maybe if I skimp on brand name toilet paper I could splurge for them. I love the East Coast Holiday Map!! We're in Pgh and most of our friends and family are spread all over the country! I'd get the one called Come, They Told Me. I love the Simple Joy cards! 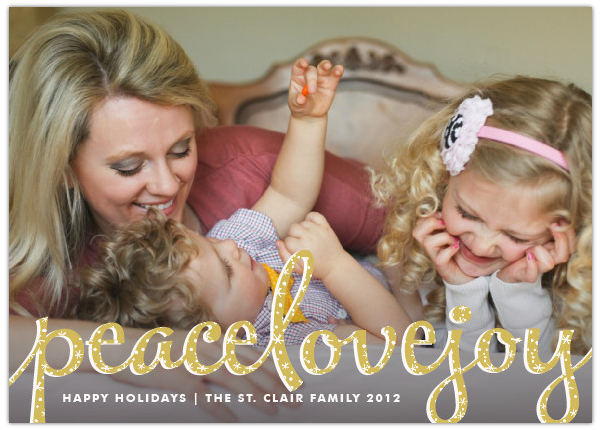 Love the merry typography cards...great site! And I just followed you on Facebook! How do you possibly choose?! They are all so cute! 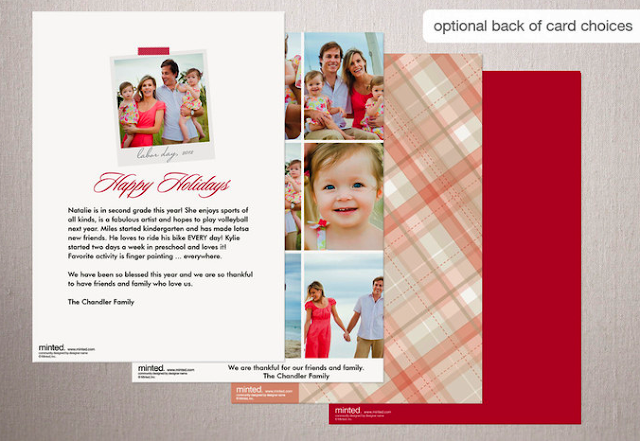 I would probably go with Family Framed Holiday Photo Card. I love the Rejoice card. So beautiful! 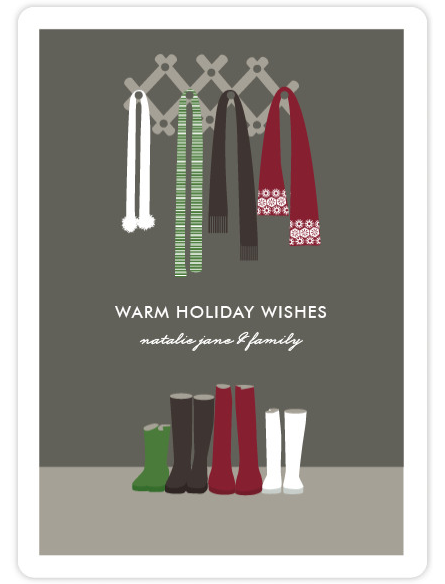 I like the Joyful Season holiday cards. Vintagy and cute! You are liked on Facebbok! There are way too many to choose from! I love the pride and joy card and about ten others . . .